Truth does not contradict itself. When all around is confusion and chaos, Truth alone stands unassailable. In the bewildering tumult of many opposing ideas, different claims against the Biblical lunar Sabbath have been made. Most of these are due simply to a lack of knowledge and understanding of the truth. Everyone has inherited errors and traditions handed down from paganized Christianity. 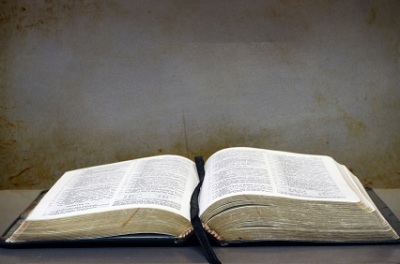 However, Scripture reveals its secrets to every Searcher for Truth. None need remain in confusion and error. Following are 7 common objections raised against the Biblical Lunar Sabbath, and their respective Answers. OBJECTION #1: "Lunar Sabbatarians don't count some days of the week. Their calendar is full of non-days!" ANSWER: There is no such thing as a "non-day" or a "blank day." All time must be accounted for and the Biblical luni-solar calendar does not leave any time out. Solar and luni-solar calendars both use the movement of the sun to calculate the year. Because the solar year is 365.25 days long, the extra time is accounted for on the Gregorian calendar by adding in a leap day. This "leap" day is February 29 and occurs every four years. On Solar calendars, the months are of arbitrary length and are not anchored to anything in nature. The Biblical luni-solar calendar, on the other hand, ties its months to the cycles of the moon. A lunation, like the solar year, is not a round number. A lunation contains 29.5 days. Because of this, some months have 29 days and other months have 30 days. On a lunation of 30 days, the 30th day comes between the last seventh-day Sabbath of the month and the next month's New Moon day. It is not part of the weekly cycle but it is NOT a "blank" day. It has a date within the monthly cycle. OBJECTION #2: "On the lunar calendar, the Sabbath floats around! Each month the weekly Sabbath occurs on different days of the week. Sometimes it is on Monday, then the next month it changes to Wednesday and after that to Thursday. It is never consistent." ANSWER: The most notable difference between the Gregorian calendar and that of the Biblical calendar is found in the weekly cycle. The Gregorian calendar, like the Julian calendar before it, has a continuous weekly cycle. The Biblical calendar, like all ancient calendars, does not. It is only the difference in weekly cycles that makes the lunar-based Sabbath appear to float from month to month on the Gregorian calendar. The Biblical calendar is very constant. Because the weekly cycle of the Biblical calendar restarts with the New Moon, the dates of the month always fall on the same days of the week. This is not so on the Gregorian solar calendar. The seventh-day Sabbath floats from date, to date, to date each month all through the year. Far from floating around, the true Biblical Sabbath is very consistent and always falls on the 8th, 15th, 22nd and 29th days of the lunar month. OBJECTION #3: "New Moons cannot be Sabbaths simply because the Bible gives numerous examples of people traveling or working on New Moons!" ANSWER: It is true that the Bible gives examples of people traveling or constructing the tabernacle on New Moons. This is because New Moons are not seventh-day Sabbaths. The various prohibitions against travel and cooking on the seventh-day Sabbath were not applied to New Moon days. However, New Moon days are worship days. They are a time of rejoicing and thanksgiving for the blessings of the past month and renewed consecration for the upcoming month. New Moons are in a class of worship day all by themselves. This is demonstrated in the record of required sacrifices listed in Numbers 28 and 29. The days with the least amount of required sacrifices were common work days. The seventh-day Sabbath had more sacrifices required than ordinary work days. New Moon days had even more sacrifices required than for the seventh-day Sabbath. Only the annual feasts had more required daily sacrifices than New Moons. All who desire to worship the Creator will do so on His appointed times: the weekly, monthly and yearly times designated for worship. OBJECTION #4: "This lunar Sabbath idea contradicts itself! If this theory were true, it means that the Exodus would have occurred on a lunar Sabbath, thus breaking the Sabbath." ANSWER: It is true that the Israelites left Egypt on the 15th day of the First month. However they did not break the Sabbath, because the holy hours were already over by the time they left. The date of the Exodus was the 15th of Abib, the first month, on the day after the Passover. Within a lunar month, the 15th is always a seventh-day Sabbath. However, the Israelites left at night, after the sacred hours of the Sabbath were past. It must be remembered that Yahuwah is the Law-giver. Just as truth does not contradict itself, Yahuwah who Himself IS Truth, never breaks His own laws. OBJECTION #5: "Saturday has always been the seventh-day Sabbath. In fact, the word 'Sabbath' has been preserved in many languages and it always designates the seventh-day Saturday." ANSWER: The fact that the word "Sabbath" appears in many languages is not proof that Saturday is the Biblical Sabbath. All it proves is the wide-spread dissemination of paganized Christianity. "Saturday," like the continuous weekly cycle, is a fairly recent addition to the calendar. 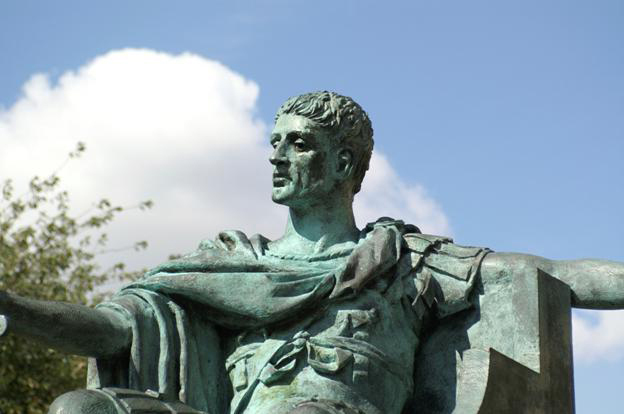 When Julius Cæsar set aside the luni-solar calendar of the Roman Republic and adopted a straight solar calendar, the Julian calendar, the week had eight days, designated A through H.
Reconstruction of Fasti Antiates, the only calendar of the Roman Republic still in existence. 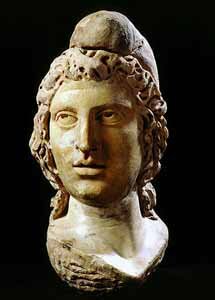 As the Persian mystery cult of Mithraism gained popularity in Rome, the pagan planetary week was adopted. This was a seven-day week beginning on dies Saturni, or Saturn's day. The second day of the week was dies Solis, or Sun's Day. The third day of the week was dies Lunæ, or Moon's day. The week ended on dies Veneris, or Venus' Day which is the modern Friday. Mithraism was a sun cult. Consequently, the Day of the Sun became more and more important. The seven day planetary week was named after the planetary gods. As this week spread throughout Europe, the names of the days of the week spread with it. Many languages today show Roman Catholic influence by renaming the first day of week, Sunday, the "lord's day" and Saturday, the seventh-day of the week, "Sabbath." However, those are NOT the original names of the days of the week. Saturday, like the pagan Julian calendar that adopted it in the first centuries AD, is irreparably pagan. It is not the true Biblical seventh-day Sabbath and no amount of renaming it "the Sabbath" can transform it into being the true Bible Sabbath. OBJECTION #6: "The lunar cycle makes a person break the real unbroken seventh-day Sabbath that goes back to Creation week." The only resemblance to the Biblical week is found in the number of days within the week. Both the modern week and the Creation week have seven days. However, the modern week is a Satanic deception specifically designed to counterfeit the Biblical week. OBJECTION #7: "The conflict between Sunday keeping and Sabbath keeping has always been against the day commonly known as 'Saturday.' There is no record of a conflict between Sunday and a floating Sabbath nor is there any record of Christians ever using a different calendar." ANSWER: This is not true and the historical record proves it. The transition from worshipping by the Biblical calendar to full acceptance of the pagan calendar was not an event that occurred overnight or even within a single life-time. It was a process of creeping compromise centuries. As soon as some Christians began to apostatize, embracing various aspects of paganism, other Christians stood firm for the truth, unbending in the face of severe opposition. This creeping compromise by Christians with some worshipping on both the lunar Sabbath and Sunday, others on Saturday and Sunday, and some on Sunday alone, caused great confusion among the pagan Mithraists. Tertullian, an early Christian writer, admitted this fact. He clearly stated that Christians who worshipped on Saturn's day as the seventh day of the week were themselves deviating from an Israelite custom of which they were ignorant. 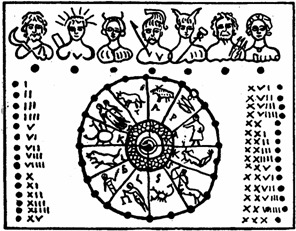 A stick calendar found at the Baths of Titus depicting Saturday (or dies Saturni – the day of Saturn) as the first day of the pagan planetary week (constructed 79 – 81 A.D.) Click here for more info on the history of the modern calendar. The custom of worshipping on Saturn's day, the seventh day of the week once it was bumped from the first day to the last day of the week, was based on the Israelite custom of worshipping on the seventh-day Sabbath. However, Saturday itself was not the Hebrew Sabbath as the weekly cycles were different. This is amazing confirmation of Christian use of lunar months. The "Nones" of November is November 5 which, that year, fell on the day of Venus, or Friday. However, the 24th day of the lunar month falls on the second day of the week! The facts of history reveal Saturday to be nothing more than a day on the pagan planetary week, honoring the blood-thirsty planetary god: Saturn. The wide-spread acceptance of tradition has led many to assume that their beliefs are based solely on Scripture when, in fact, many beliefs are merely ancient customs handed down from pagans. Will you accept Heaven's challenge to study for yourself? Will you search to find and observe the true seventh-day Sabbath?